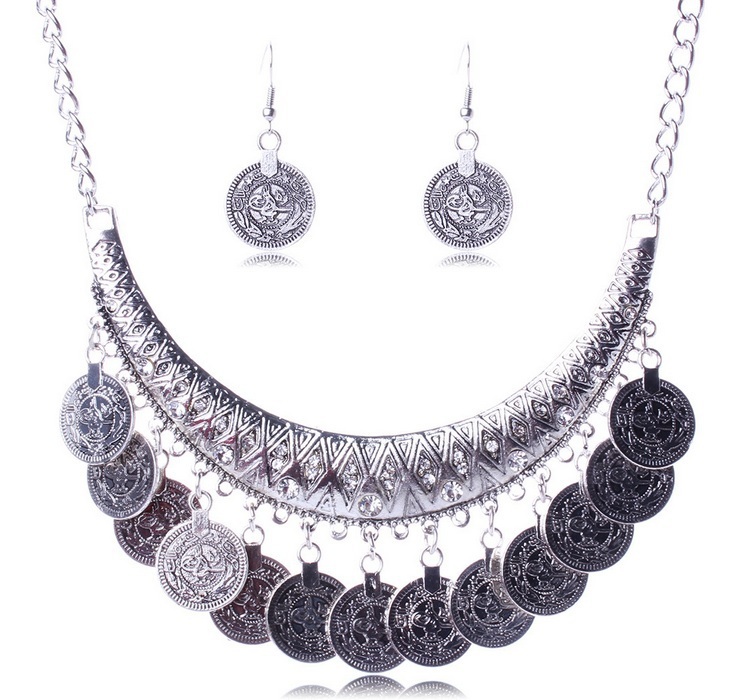 Make a total fashion statement with Catarine Boho Necklace Set. The coin drops dangling from thick pendant with sparkling stones let you discover the wanderlust in you. Long matching earrings. If you love boho jewellery make Oz Bling your one stop online shop for all styles, fun, formal, chic or unique!